The Classic Catalog will be retired on June 30, 2017 and will no longer be available after that date. The software is quite old and the company that created it has ceased support. The new Library Catalog is built on the latest library search technology. Based upon feedback from our patrons, many improvements have been made over the last couple of years, resulting in more flexible searching and browsing options. In addition, request functions have been fully integrated for delivery, scanning, and borrowing, including Borrow Direct and Interlibrary Loan. More powerful advanced search options have been developed, and search results can now easily be limited by multiple facets including format, location, language, or subject. 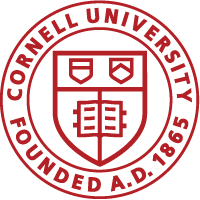 We will continue to update and improve the Library Catalog’s capabilities based on needs of the Cornell community. If you have any concerns or questions about the retirement of the Classic Catalog you can contact the library’s Discovery & Access team directly.